As home-buying goals continue to be top of mind for many Canadians, more people are looking into other avenues to break into the market, including co-buying a home or condo with friends, family or an investment partner. Communal homeowners, or co-buyers as they’re known, are a growing trend and can be an economical way to become a homeowner. While there are some big benefits in buying with someone else, it’s important to enter the partnership with mutual agreement on both sides to ensure things go smoothly. An honest conversation on finances and the future as well as consulting a professional for legal advice is necessary. Before you go online to look at houses or call a realtor, discuss the goals and the unexpected with your co-buyer by answering these questions. What are you both trying to get out of this? What if one person wants to sell before the other? What if one of you loses your job and can’t make mortgage payments? Will you both be living in the property the entire time you own it? Will you rent? Who decides on the tenant? If you’re not significant others how will a relationship/marriage/kids change your homeownership situation? Although no one can predict every life event, it’s important to remember when buying together, that your co-buyers ups and downs may impact you. If you can’t answer any or most of these questions, you may want to hold off until you have a clearer picture of what joint ownership will look like for you. The terms of your mortgage will most likely be calculated based on both co-buyers’ credit ratings. Your credit report is a very important indicator of your financial health; it contains a full history of how you’ve paid your bills, how much outstanding credit you have, and how responsible you are with managing loans. Before you purchase, swap credit scores with your co-buyer, which will give you a clear indication if you should enter into a joint investment. If your co-buyer makes late payments or has less-than-stellar credit, it’ll affect your credit standing too, which will in turn have negative consequences on your future investments and loan applications. Remember this is not a violation of your co-buyer’s privacy. Credit scores offer no indication of someone’s financial situation, that is to say how much money they have, but instead give you information on how they’ve handled loans in the past, both small and large, which is vital to your decision to buy with them. A neutral third party, like a lawyer or other mediator, can assist you in putting your plans in writing, including how long both parties will have to commit to owning before they can sell and what happens if someone changes their mind or needs to sell earlier. In addition to the situational information, a lawyer can also help you keep track of the percentages each part owns in the event of an uneven split. This ensures the party who contributed more is protected and won’t lose out in the event of a quick sell or another unexpected situation. It’s also important to address how you will deal with the cost of repairs, maintenance or other monthly costs. If the split of your home is 60/40 will you also be splitting the inevitable costs of things like your washing machine repair the same way? If not, how will that factor in when you sell? Reach an agreement that makes both parties comfortable and put it in writing so there’s no confusion. If you trust your co-buyer enough to split the mortgage payments among yourselves, say from a joint account you both contribute to, great. However, you may consider a Mixer Mortgage, which can be split into multiple parts, such as one variable part and one fixed part. In many situations, mortgage payments can be made separately and can be split to reflect the specific percentage of the mortgage that each party owns. This takes the burden off of one party to chase down the other to ensure they pay their potion on time. Some mortgage lenders will even accept two separate applications from each co-buying party, so that one person’s financial details or sensitive personal information will not be disclosed to the co-buyer. Twice a year, particularly if you don’t actively see your co-buyer, sit down to discuss any concerns you may have about your shared investment. This should be in addition to frequent communications. Perhaps property values have skyrocketed and you’d like to consider selling sooner than you thought, or your co-buyer wants to move out and rent their share of the home. Yearly maintenance to keep the place running smoothly should be discussed as well, and any other upcoming events that will require both buyer’s attention. 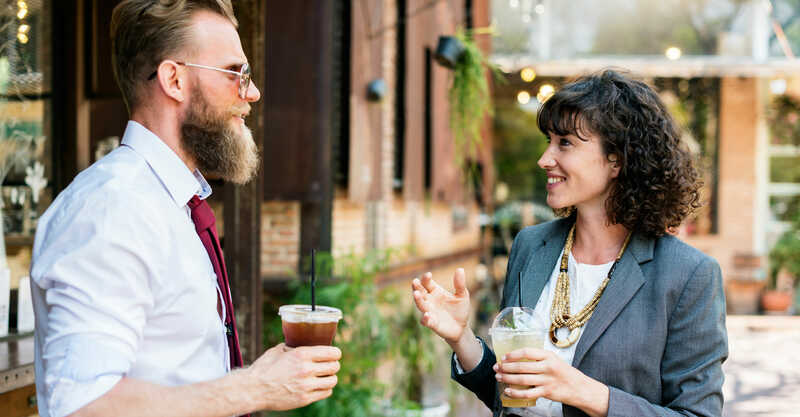 Having considered all the unexpected and taken steps to protect your finances, co-buying with a significant other, family, friends or business partner is a great way to get your foot in the real-estate door. Empire recommends homebuyers considering co-buying always consult with a lawyer to discuss your particular needs and circumstances.